I’m going to buy some Frosty Paws later today. In the interim, for all the dogs who work like…well, dogs and read this blog on your way to or from the office – these are for you. 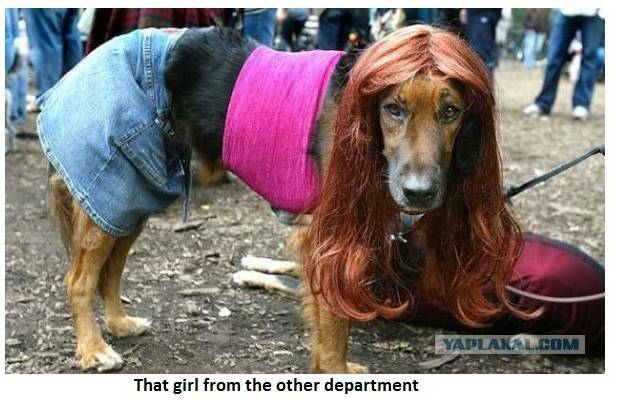 For all of us who are totally canine-crazy enjoy..
Posted on September 27, 2012 by mimijk •	This entry was posted in friendship, humor, love and tagged animals, dogs, national dog week. Bookmark the permalink. These are great, Mimi. Thanks for sharing! I will take extra care with our two girls, Mattie and Zoey, for the rest of the week. They actually think that every week is “Dog Week”. I guess I would have to agree . . .
Where do you find these pictures? I have, always, said that there is a person inside every dog; it makes them human (if you will). Dogs are people in dog suits. Your photos brilliantly illustrate man’s/ woman’s best friend’s humanity. Wishing the Sirs a Very Happy Dog Week! They send you kisses Aunt Jo!! I hope they hear me giggling. Kisses welcomed and returned ten-fold. hahaha–these were great–especially the 5:01 p.m. one! Very fun, Mimi. I loved them! 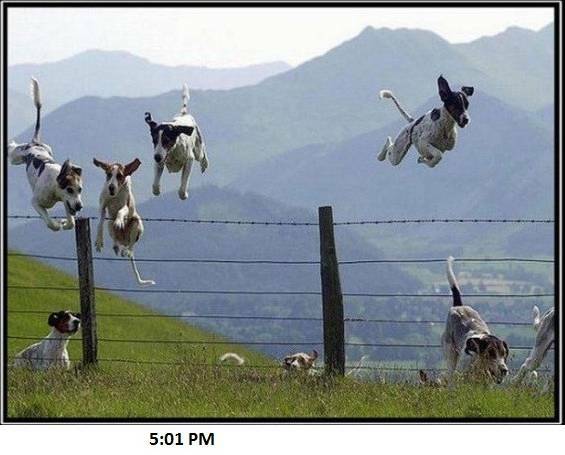 Holy Hopping Canines. I love this! 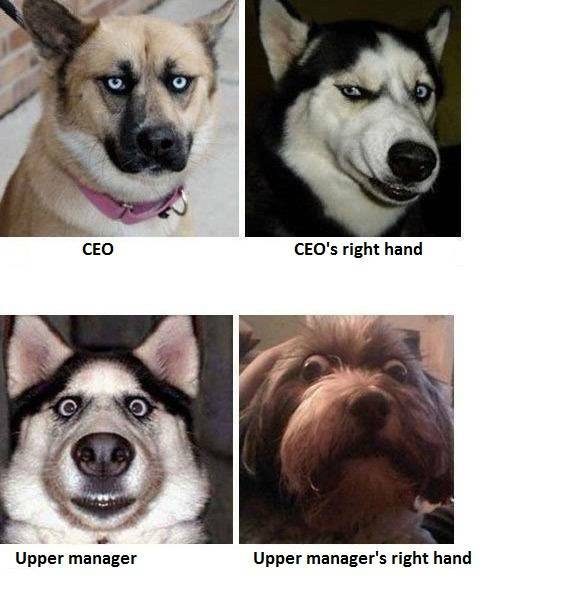 I can sooooo see finance look just this way! and the CEO? yes yes yes. so good. I’m sure the sirs will forgive, as they adore the very ground you walk upon (as you do them). I must go now and ply my pooch with extra loving care, as I too was ignorant of this very special week. Awww … intern is just too cute and sysadmin made me laugh. Hahaha! Still laughing! I am going to get some frosty paws too – maybe that’s why I haven’t been getting cuddles this week! 😉 Great post!!!! That’s me at 5:01 pm…. 😉 love the humor! These are great! 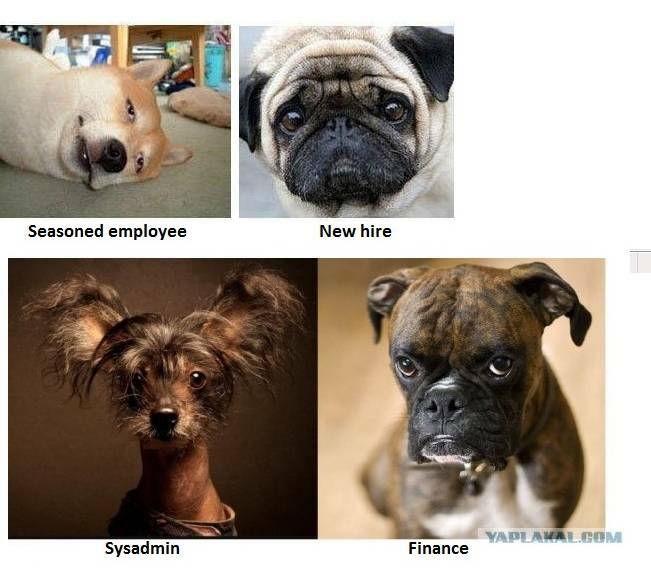 I especially like the worried look on the new hire employee. 🙂 And 5:01 – oh yes indeed! 🙂 I actually had a few more, but didn’t want to inundate everyone with pictures…The 5:01 photo is my favorite.. 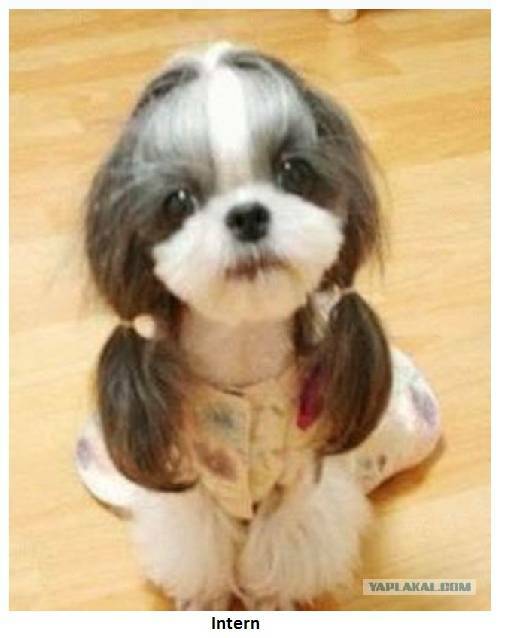 Laughing..I got a kick out of these pics too..
National dog week you say I didn’t know that, but then I am in a different county right………..just agree with me here that is why I didn’t know about it right…………right…………good we are in agreement………….. I think the intern is pretty cute. 😉 Happy that you smiled.